Can I breastfeed... and help premature babies? | Can I Breastfeed In It? Six years ago I was a smug new parent-to-be, patting myself on the back as the antenatal class swot, for being able to answer all the breastfeeding quiz questions. I was an A-student, top of my game. Yes, “some people can’t breastfeed” but I’m not someone who fails, I’m not someone who needs help. I’m strong, a winner…. oh, how naive and arrogant I was. Soon after that class one of our group got taken into hospital. Pre-eclampsia. The baby needed to be delivered at just 30 weeks gestation whilst others in our group barely even looked pregnant. When I visited mum in hospital she was pumping tiny droplets of gold, struggling to get the 5-20ml her baby needed for her next feed. Her baby on another ward, fighting for her life in the Special Care Baby Unit. Suddenly it was real. I felt vulnerable and grateful for the health my baby and I shared, and had an overwhelming urge to help, but how? As I followed their journey I learnt that some mums don’t get far enough through their pregnancy for their breasts to be able to produce milk, and learnt that some hospitals facilitate mothers donating their milk to help these vulnerable babies. In fact I recently learnt that the most premature and sick babies can’t tolerate the formula milk designed specifically for preemies; depending on donated human milk just to stay alive. I knew how devastate and helpless I’d feel if fortune had dealt us that hand, and decided then to do what I could. Our breastfeeding journey didn’t get off to the smoothest start, but as things got easier I thought back to those premature babies. I found out I could donate to a hospital nearby who I could text as often as I liked to collect my frozen milk. I washed and sterilised my pump every evening, and pumped every morning from one side as I fed my baby on the other. 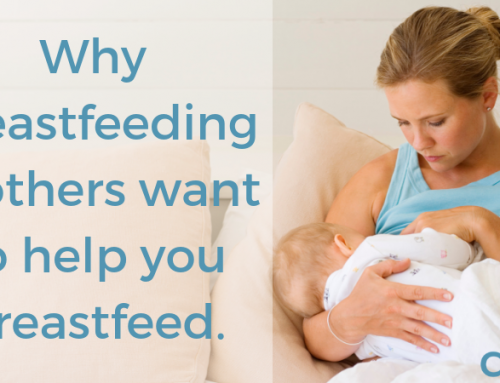 It was quite a commitment to pump each day, but it meant I always had milk available to feed my baby if I wanted a night out, or to mix with food when it was time for solids. The knowledge that I was helping someone who needed it made all the hard work worthwhile. We all know how important blood donors are to our community, but fewer people understand just how vital human milk donation is. If you’re considering donating your precious milk, thank you, on behalf of sick and premature babies everywhere. There are a number of ways to donate. NHS milk banks across the country take donations and usually ask you to start donating before baby is 6 months old. The hospital might also be able to arrange pick-up of your donation if you are out of area. Once your milk has been pasteurised it can be dispatched to other hospitals where needed. Hospitals frequently phone each other when milk is in short supply since there isn’t always enough to go around. There are other options and safety advice available if your baby is older, if you don’t live near a milk bank, or if you prefer to donate directly to a family. I’m grateful to have been able to share this gift of milk not only with my babies but with all those out there, who benefited from our donation. Please get in touch with CIBII or the milk banks if you have questions. Help us to spread the word to encourage more families to consider donating, so that more babies lives can be transformed by this life-saving liquid gold. Every drop counts. Thank you. Written by Sarah J as a guest blog author.